Practical considerations with attention to detail. 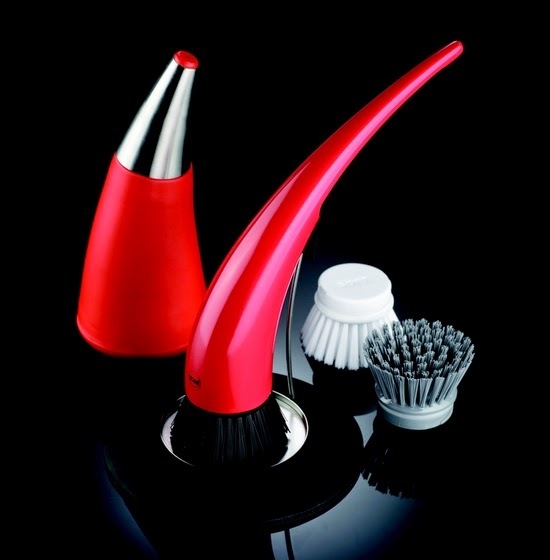 A unique sculptural design lets the dish brush take the functional place next to the kitchen sink and not put away in the closet. The confetti organic dish brush has been designed with ergonomics and aesthetics in mind. 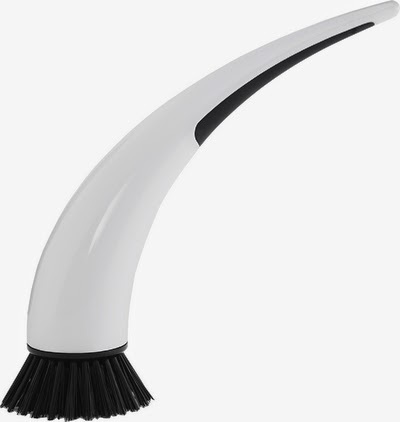 With a sleek, cool and curvy body, this dish brush is accented by black bristles. Definitely just the thing to put a spark into the dull chore of washing-up, this funky scrubbing brush will look absolutely brilliant perched on the kitchen sink. 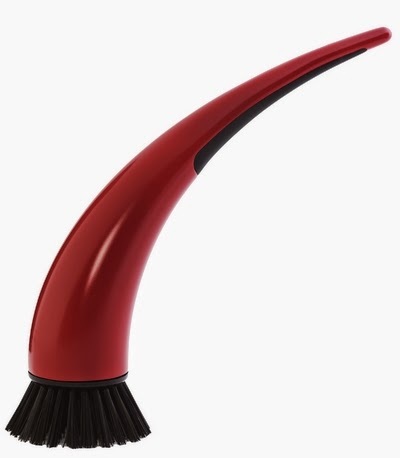 The scrubbing head of the Confetti Organic Red Dish Brush is replaceable, so you can swap it over for a new one when your dishes have had their lives scrubbed out of them. 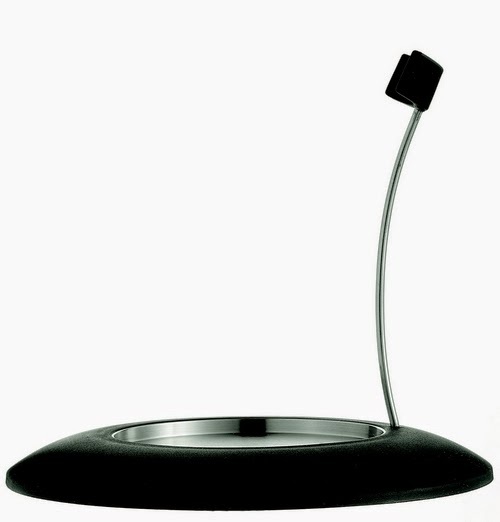 It is part of a series of various products in matt or glossy steel and black rubber. The rubber grip makes the dish brush not slip in your hand. The interchangeable brush head improves the hygiene and the longevity, comes in a fabulous gift packing that would make a great gift. For holding or dying up the dish brush, Zone dish brush holder makes a perfect complement. The picture of the holder is displayed below and is available upon request.